Plan your special day at the Barn! 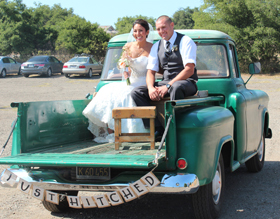 Welcome to the Edwards Barn LLC in Nipomo, CA, a truly unique central coast wedding venue. We offer a one-of-a-kind setting for Weddings and Special events. At the Barn, we have a full kitchen, inside and outside entertainment spaces, bathrooms and plenty of parking. Check out our gallery to get an idea of how beautiful your special day can be at the Edwards Barn LLC. We are booking weddings and special events for 2018. Be sure to reserve your date! To schedule a tour, please give us a call at 805. 929. 1673 or email us at theedwardsbarn@yahoo.com. Unique wedding venue on the Central Coast with beautiful gardens that make you feel relaxed and confortable for any event. We also host receptions, non-profit organizations, and special events. Need help with the rest? Ask us for recommendations on amazing photographers, DJs, Florists and Caterers. Schedule a tour of the barn today! We are now booking 2018 Dates! Check out this Aerial Video of a Wedding at the Barn! Copyright 2015 The Edwards Barn | All Rights Reserved | Site by DSD Creative Group, Inc.